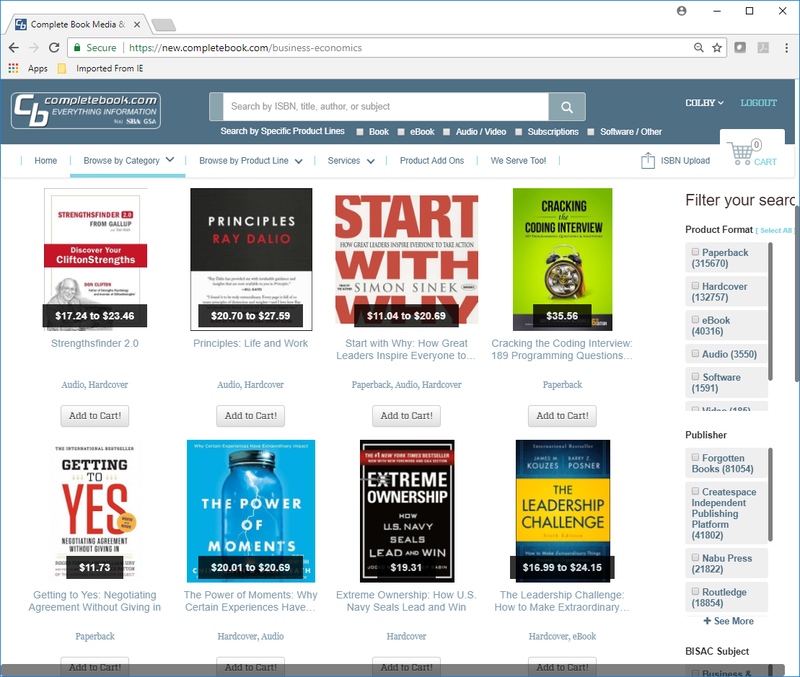 Conditional formatting to highlight important item data (such as bold/red font for non-English language books, uncommon formats (eBooks, Large Print, etc.) 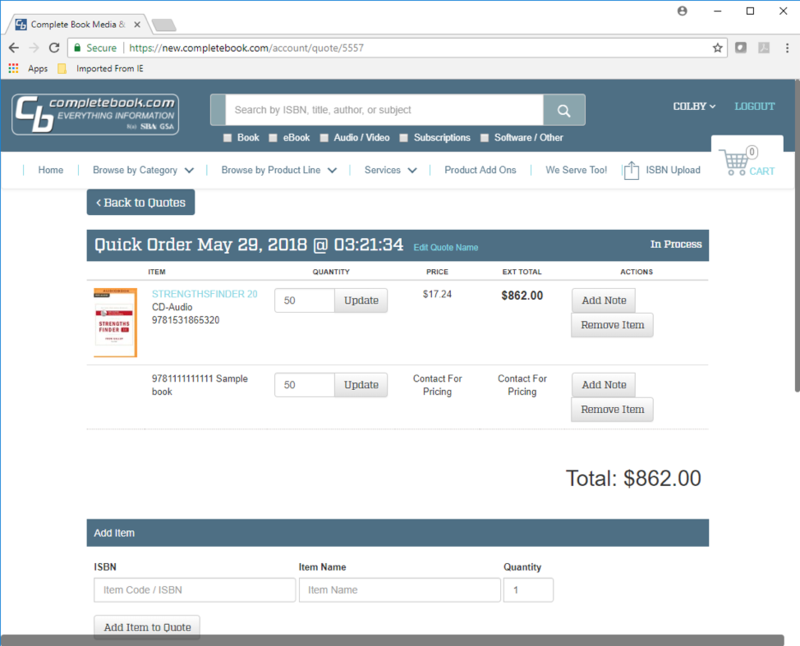 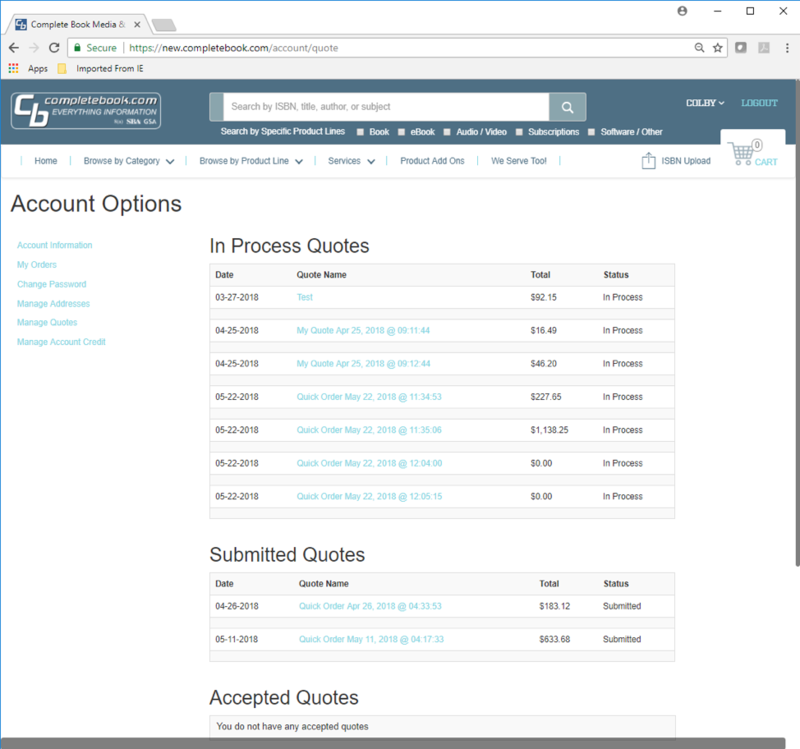 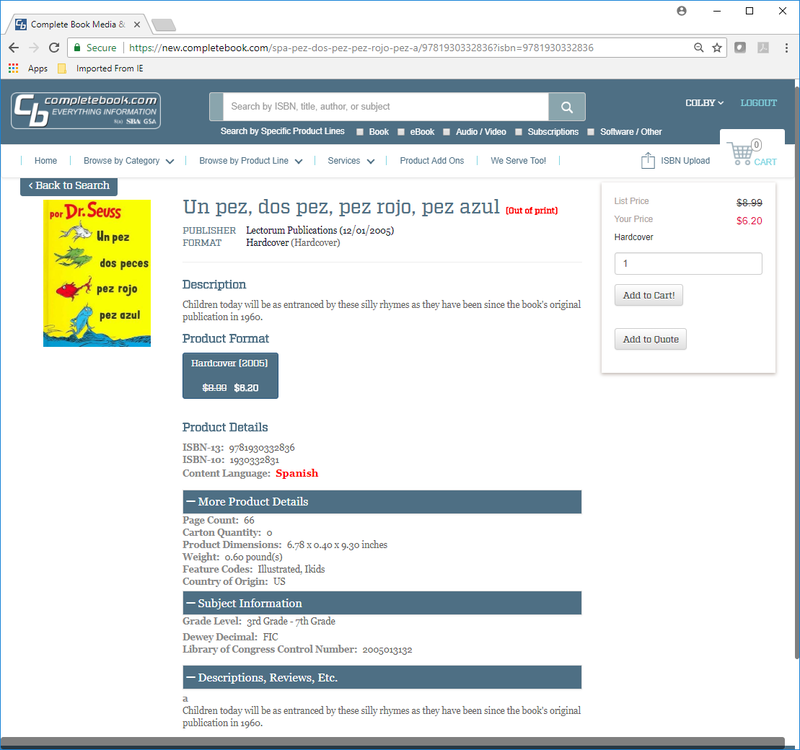 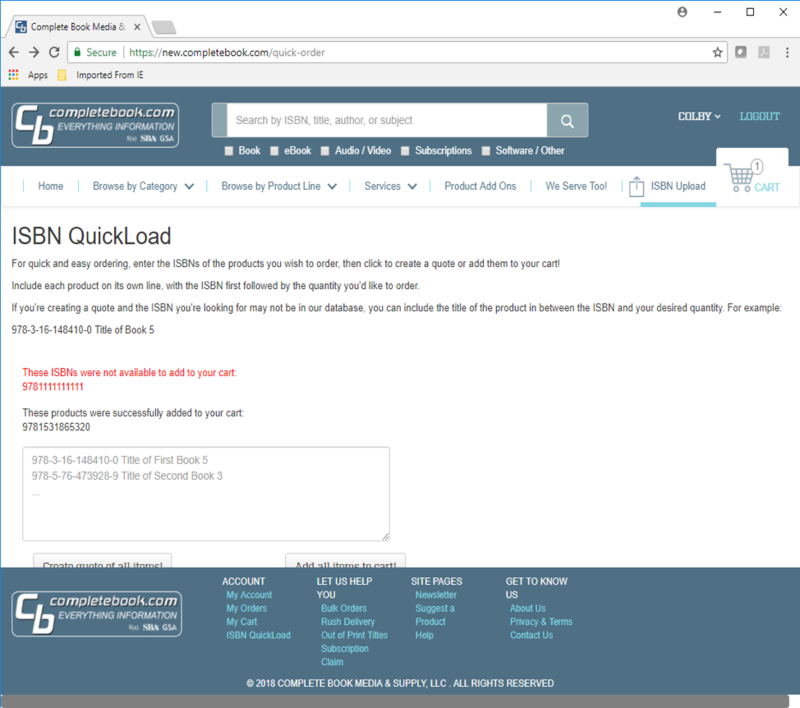 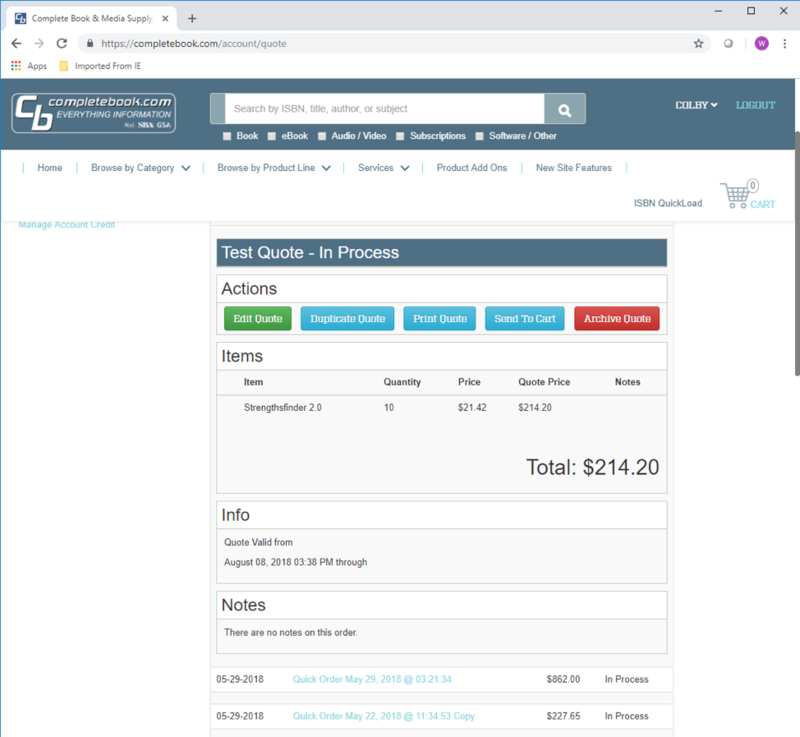 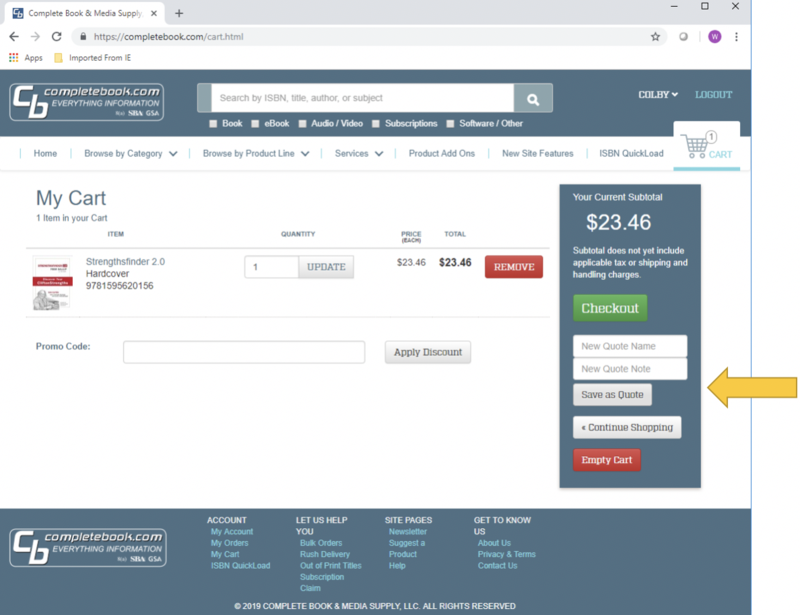 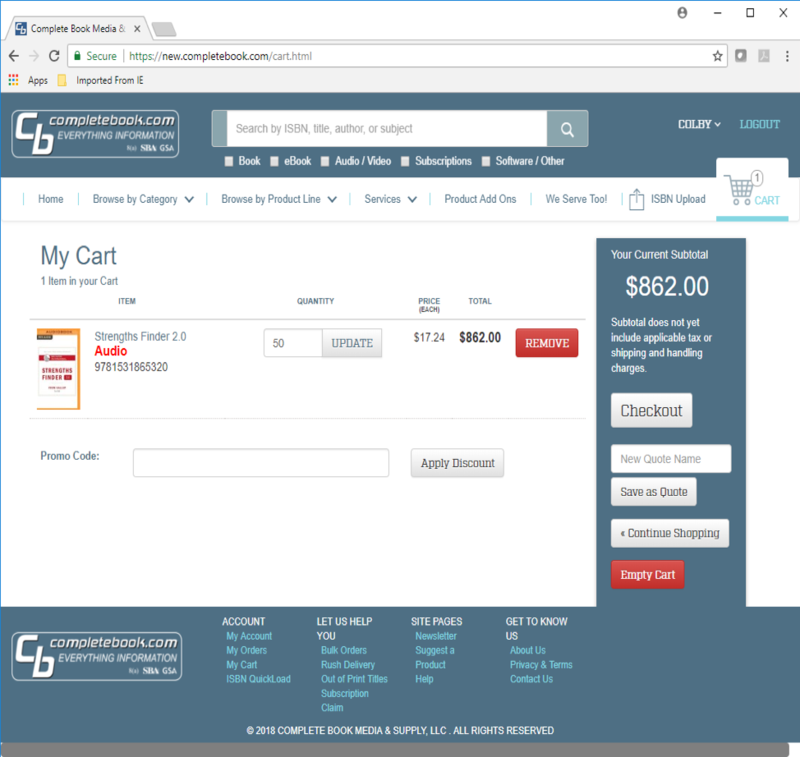 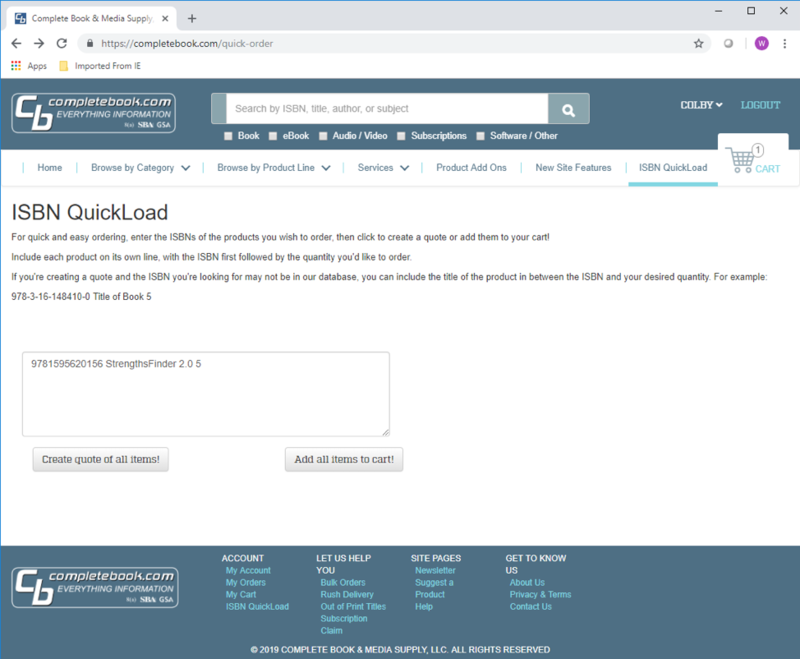 and unavailable titles such as “Out of print"
Building a Quote – Option #2 –Upload to Quote with “ISBN QuickLoad"
You may also utilize our quote system for specialty items such as kits/bundled items, items not currently on the site, etc. 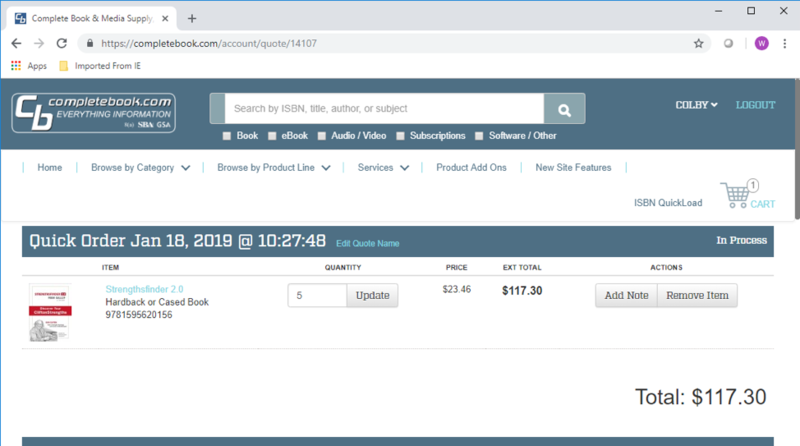 Items that are not available within our catalog are unable to be added to a Cart however they may be added to a Quote to then be submitted to our Admin team for review. 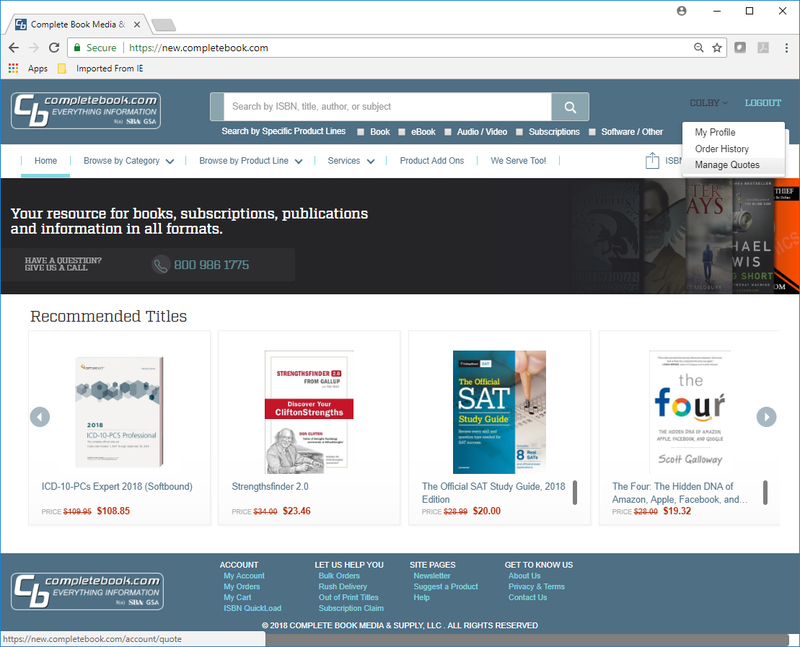 Enjoy your shopping experience at completebook.com!